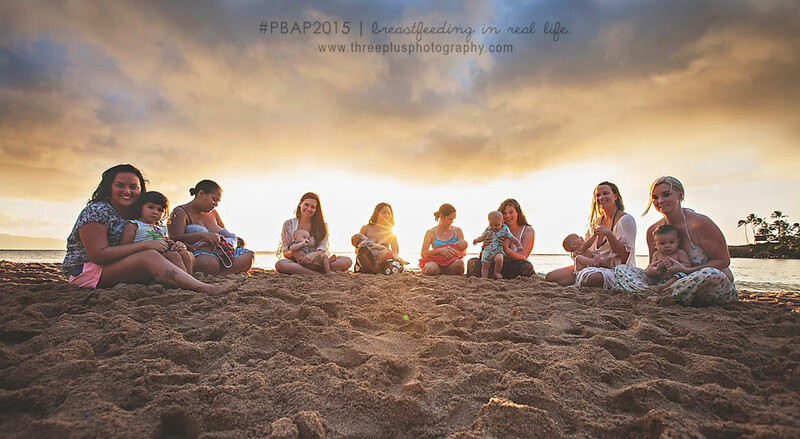 Having moved back to O'ahu just 5 months ago, I was excited and apprehensive about participating in the 2015 Public Breastfeeding Awareness Project for my second consecutive year. 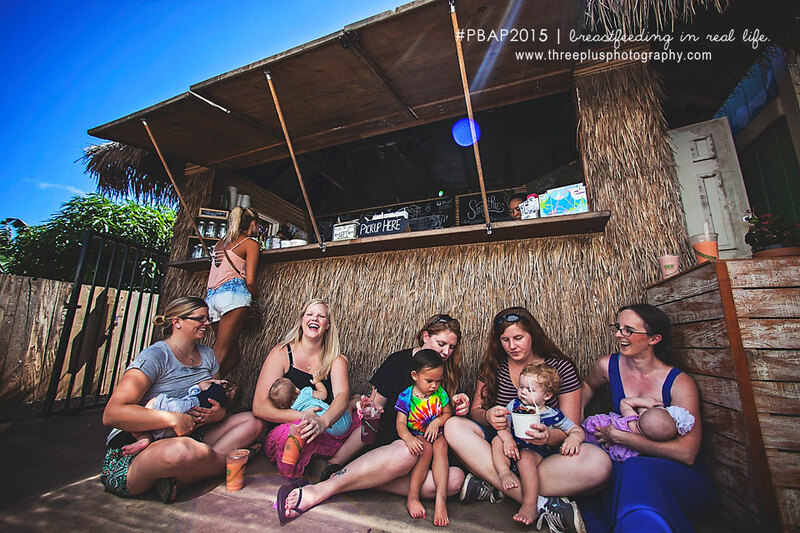 In the midst of trying to rebuild my clientele locally and getting our family rooted, I was able to meet and photograph 12 awesome moms who are great advocates for public breastfeeding. We all know breastfeeding in public still carries a big stigma: people are either for it, or against it - and they voice their opinions loudly. My greatest desire is to see mothers supporting each other - no matter the decision we make. Want to nurse in the comfort of your home - do it! Want to nurse at the restaurant - do it! Wanna use a cover? - do it! Don't wanna use a cover? - do it! Want to pump and bottle feed - do it! Need to supplement - do it! We should stick together as mothers, not bash one another. For the Hawaii edition of the #PBAP2015, we shot in local businesses and public locations on the North Shore of O'ahu, where I'm based. 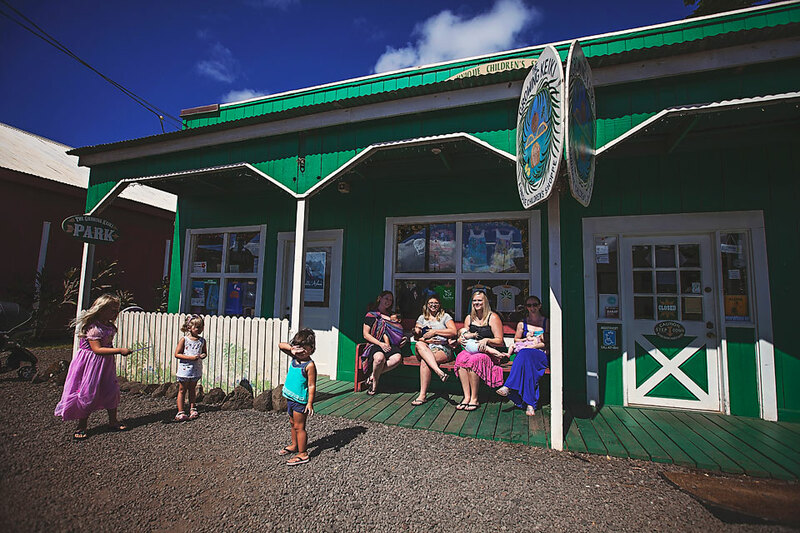 I wanted to say a huge thank you to The Growing Keiki (children's clothing store) and Haleiwa Bowls (best açai bowls and smoothies) for their support of the project and of breastfeeding mothers! 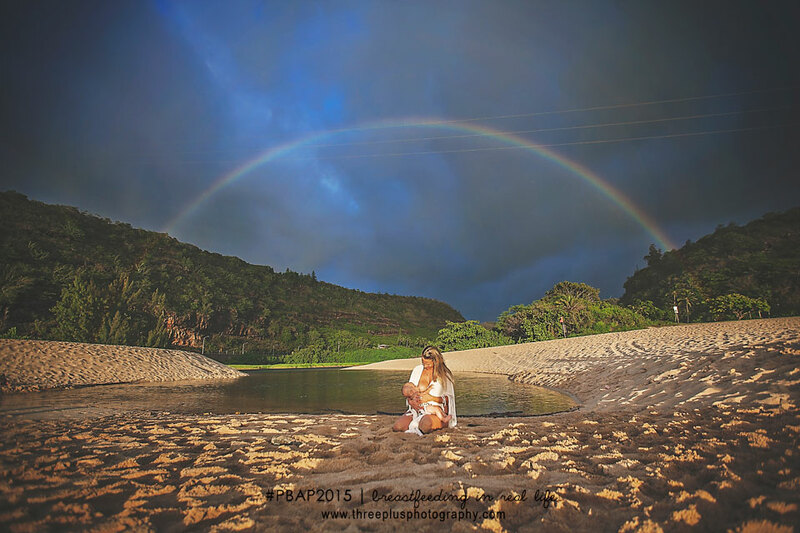 We also shot on the beach in Haleiwa and Waimea Bay, because beaches are very much public places in Hawaii! And also, at the popular fruit stand in Kahuku. Please keep reading, as each mom that participated also shared a little about their experience with breastfeeding in public. 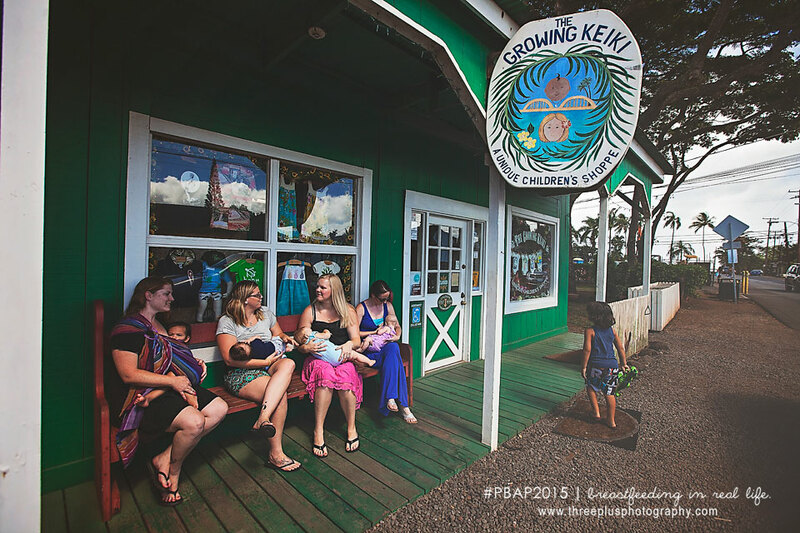 Mahalo to The Growing Keiki for participating in the 2015 Public Breastfeeding Awareness Project! 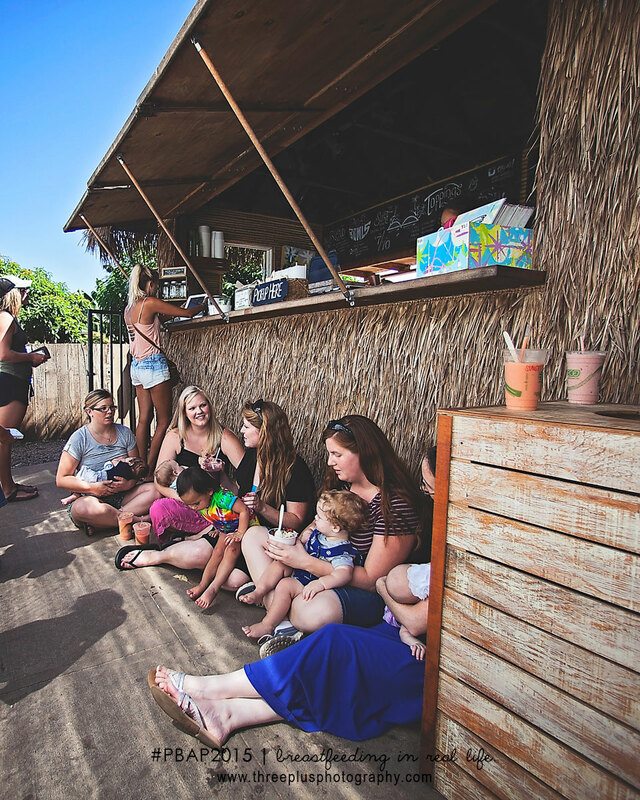 Mahalo to Haleiwa Bowls for participating in the 2015 Public Breastfeeding Awareness Project, and for graciously donating smoothies to our incredible moms! 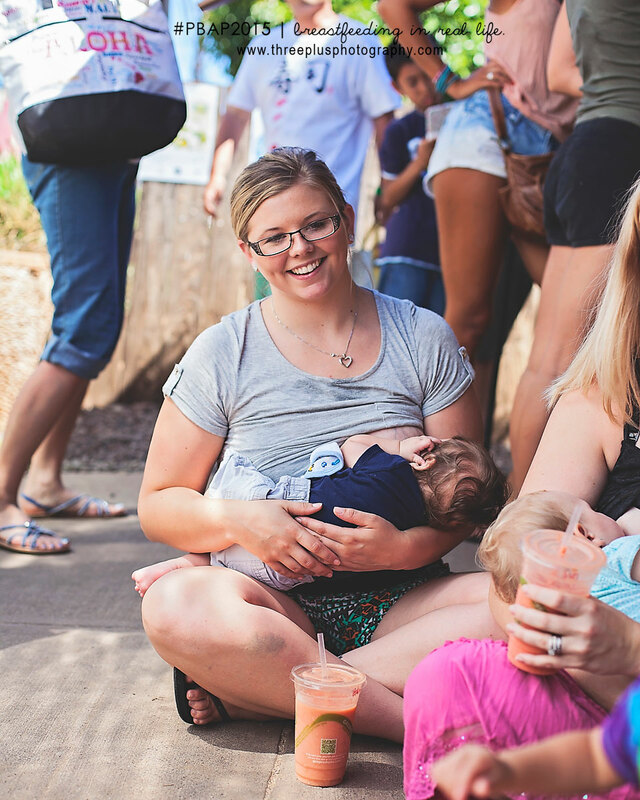 "Breastfeeding in public has been the most empowering decision I have ever made. I am doing exactly what my body was meant to do and providing my child with what they need most, without concerning myself with other people's opinions." 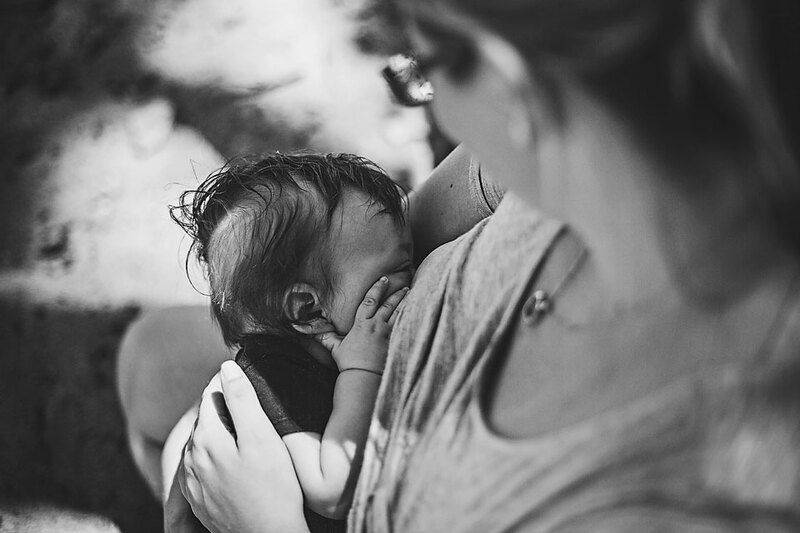 "Breastfeeding has given me the most beautiful bond between my son and I. The way he looks up at me and touches my face, makes me feel like I'm doing something right. Lincoln needs me just as much as I need him. We're best friends on this journey together and when he stops to smile at me, I know in that moment, he loves me." "I'm so happy that I ditched the breastfeeding cover! There's no shame in breastfeeding. I'm providing my child with the healthiest food source around, milk that's formulated for his specific needs! Without a cover I can see his beautiful face and connect with him. I love his milky smiles and grins. I hope that when I breastfeed in public without hiding that I am emboldening other women to do the same." "I don't breastfeed to offend people. I breastfeed to nourish my baby the best way I know how to." "I was very shy at breastfeeding in public. I felt like I was doing something wrong. Then I realized my baby needs nourishment and I should not be ashamed. I'm proud that she is healthy, growing, and has my immunity. I'm no longer ashamed to breastfeed in public. 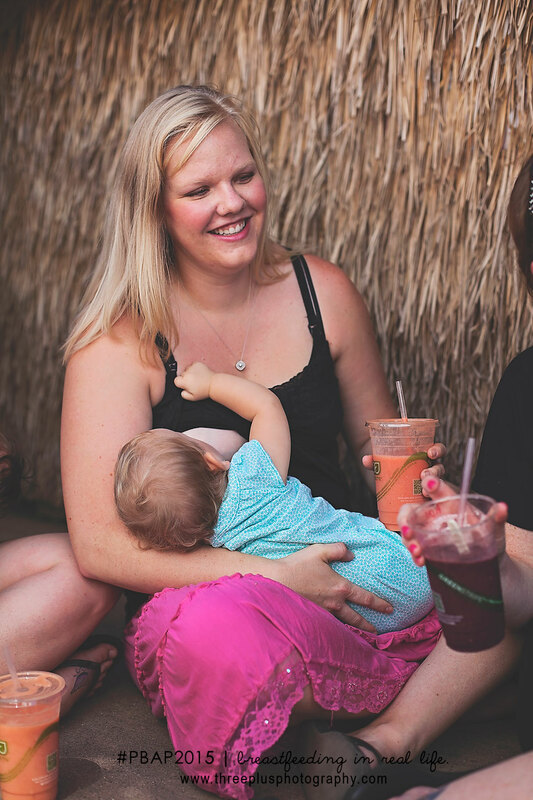 Breastfeeding now comes very natural." 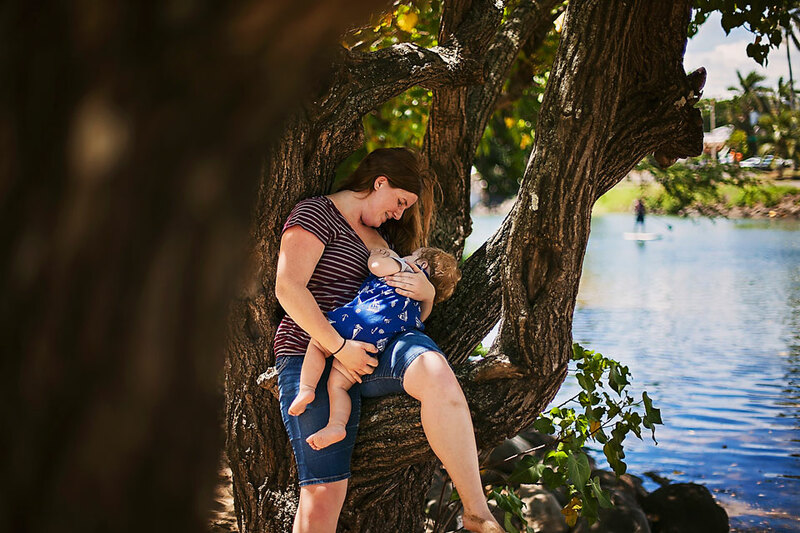 "When I began breastfeeding my son in public I was nervous but over time I have become less self-conscious about it. It helps that I have a very supportive family that is comfortable around me when my son is nursing. I have not had any negative experiences in the last 14 months and I hope as time goes on that more women will be able to make this same statement. Breastfeeding is completely natural and women have a legal right to do it in public. All these misconceptions and negative treatments of nursing moms need to stop.We need to continue reaching out to educate and inform the public and new moms of public breastfeeding rights." 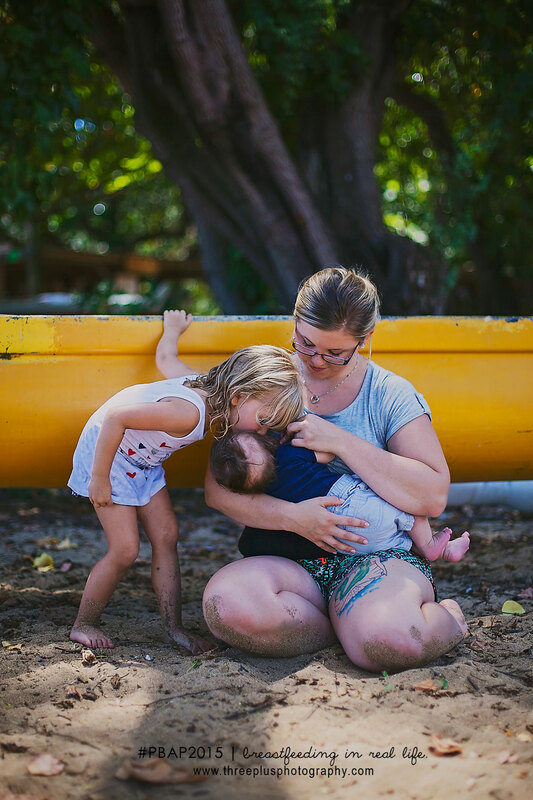 "I am so grateful I've been able to breastfeed my three children. I've grown from using a cover and being embarrassed, to openly feeding my child whenever she's hungry or needs nurturing anywhere in public. The breastfeeding bond is so amazing; every mother should get the opportunity to freely breastfeed their child." 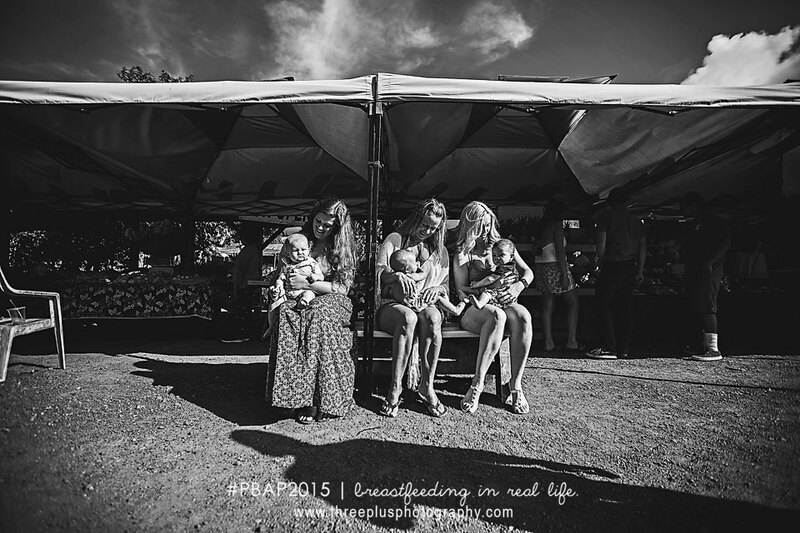 "Breastfeeding my children has been one of the most rewarding things I have done in my life. With my first child I felt self conscious nursing in public. Now with my third child I feel confident feeding her anywhere she gets hungry. Because nothing is more amazing and natural than feeding my baby with milk my body makes expressly for her needs." "To know my body can not only bring another human being into this world, but that I can actually produce and feed my baby with my own milk puts me in a state of awe each time I think of it. There's nothing better or more natural. It's a beautiful thing, one of the most beautiful things that exists. Nothing to be ashamed or bashful for feeding your baby in public. To be in nature, on a beach in Hawaii and feed my baby freely is a form of beauty, of divinity! It is an honor to be a woman! 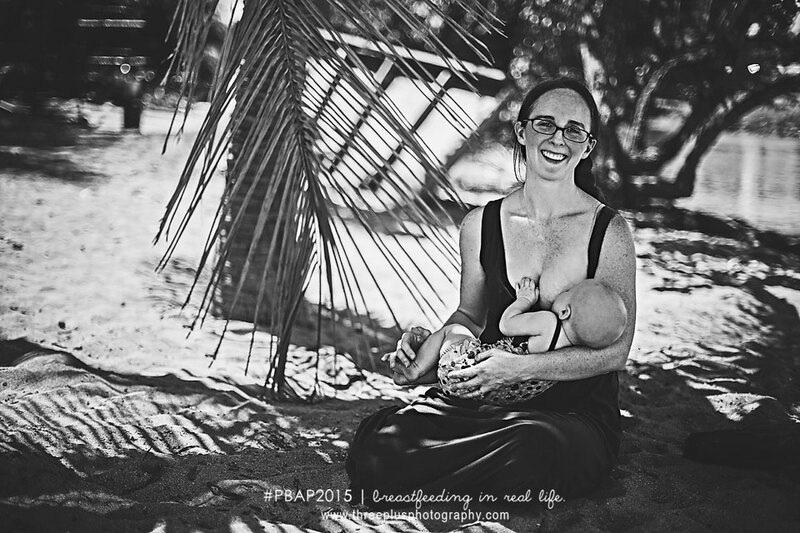 #breastfeedingisabeautifulthing "
"I had a hard start to breastfeeding when they forced formula on me in the hospital. I wouldn't have been able to get through those first few months if it hadn't been for a local breastfeeding community. Find support from people who will continue to push you through those tough spots. My son is now 18 months and I believe we have a very strong bond because of the breastfeeding. It's an important part of motherhood to me." 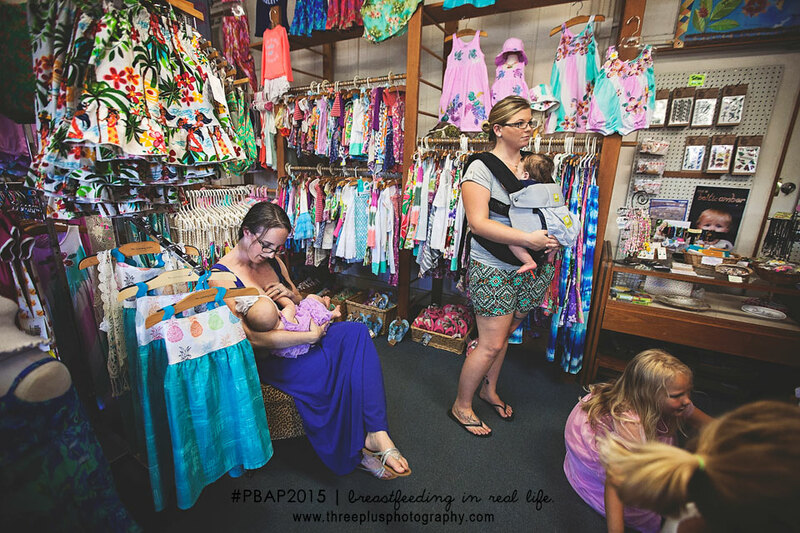 "At first I was so nervous about breastfeeding my baby in public. It wasn't until I fully understood that my baby needed my milk, not the publics opinion." "Breastfeeding my daughter has been such an amazing experience. I am glad I stuck it out through the pain and long hours. It does get better. Wouldn't change the "free" food for my daughter at all." 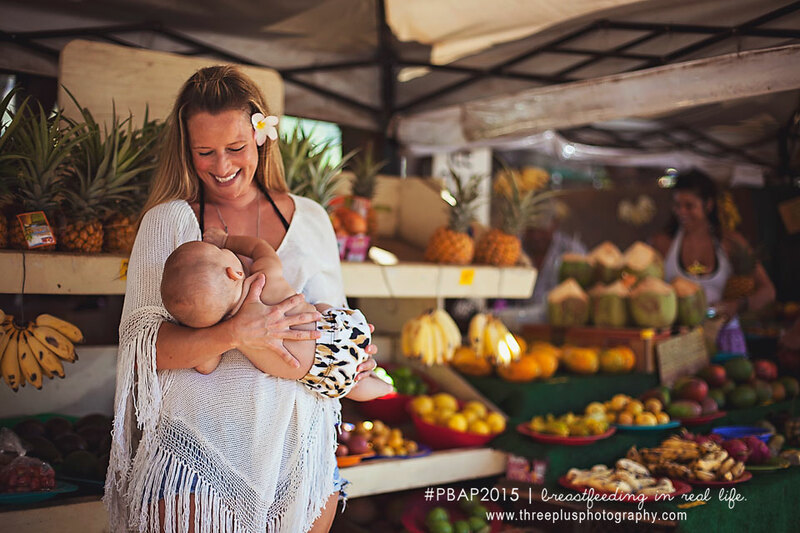 To view more of the 2015 Public Breastfeeding Awareness Project, please visit Selina Jean Photography from BC, Canada and keep following the blog circle!